I am going to make a list of some best law of attraction books here, which will help you to gain a deeper understanding of your creative ability. Books have the power to affect you deeply, that’s why along with the knowledge it provides it also motivates and inspires you. If you will watch the interviews of people who have achieved a huge success you will often find them mentioning the books that have helped them in their journey. The books that I am going to suggest you in this post won’t just teach you the principles and methods to accomplish your goals, but it will also gradually make the shift in your mindset that’s essential for your success. After having some initial success with LOA methods many people turn skeptical, the reason behind this is their failure to achieve something big using what they have learned and that happens because their subconscious beliefs are working against their desires. Books have the ability to make an impact on your psychology, it alters your inner mind programming because repeated exposure to similar ideas makes your subconscious mind to accept it. I hope by now you might have understood how books can change your life. Let me now tell you about a few books that have helped me immensely in my personal development journey. 1 – I would place “Ask and It Is Given” by Abraham Hicks at the top of this list because I got some great results using what I have learned from this book. This book is for people who have a strong faith and interest in metaphysics since the language used in the book will only make sense to people who are familiar with the terms like vibrational alignment, vortex, deliberate creation, manifestation etc. and what some people may find weird is that this information comes from a nonphysical source that is translated into written form by Esther Hicks. 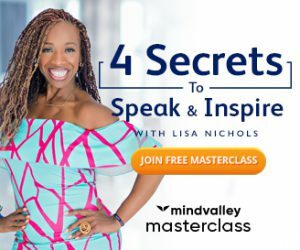 You won’t only be getting to learn how the creative process works, but you will be receiving some very awesome techniques to apply in your life no matter what your current situation is. One half of the book is filled with the exercises only and these exercises have been extremely appreciated by people who have made proper use of them. I too have seen the workings these methods, rampage of appreciation and focus wheel is my favorite. 2 – Law of Attraction by Michael J. Losier is the book I would suggest to beginners and those who have confused themselves with a lot of different information. I haven’t found such a direct and simple explanation of LOA in any other book. The author gets straight to the important points in the book and you will be able to apply the techniques right away. “I am in the process of..” affirmations is a gem I found in this book which I have been using ever since. 3 – Secrets of the Millionaire Mind by T. Harv Eker, is a book that is a must-read for anyone looking to improve his financial status. The reason why I put it on the spot 3 is because this material saved me during the time when I was struggling to make money. 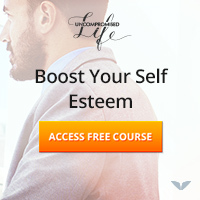 Unlike the other books, this is a not something you can just go on reading since Harv provides you instant action steps for identifying the inner beliefs that you might have formed during your childhood which blocks your abundance and he also shows you how to eliminate those limiting beliefs. This book has helped me to learn various factors that decide the flow of wealth in our lives and I was able to use my attitude toward wealth in various situations as an instrument to identify my inner mind programming which was causing that behavior. I was so moved by the book that I joined his spiritual laws of money program soon after reading the book, so I am pretty much sure that you will love it. I don’t know if you are aware of it or not, but the concept of law of attraction gained major popularity from this book only before the movie “the secret” was released. This book is said to have made thousands of millionaires as it contains the wisdom that comes from Napoleon Hills’ study of the lives of most successful people of his time who were introduced to him by the person behind this idea “Andrew Carnegie”. It is a bit lengthy and complicated in comparison to the other books I have mentioned so far, but the knowledge is deep. You might have to read the book multiple times to make maximum use of the information. This again is a work that is claimed by the author that he has received it from the higher power as a result of the questions he asked. There are three volumes of this book and each one is equally interesting, even though the content is not completely about LOA, but it gives a clear picture of why people get different types of results in various areas of their lives. An old classic which mainly teaches how to attract money. Many modern day works on the law of attraction including the movie “the secret” has been inspired by this material. I would strongly suggest you to read this because no matter how good you are already in using the law of attraction to make money, you will definitely find many things in it that you might haven’t known before. Another classic book on the universal laws. The law of attraction is just one law among the 11 universal laws explained in the book and you must know about all of them since it is imperative to live in harmony with all these laws in order to manifest your desires into reality. 8 – The Secret by Rhonda Byrne, it might seem a little surprising that I haven’t given a top spot to this book since it is probably today’s most famous book on the law of attraction. I find it a very motivating, inspiring and informative read, but honestly, the book is best for the beginners who are curious about this whole concept. It surely does provide you with the tools and exercises for applying what you learn, however in my opinion you need more than that to become better in creating the life that you want. It was a real big loss to the world when Dr. Wayne Dyer, who has positively influenced thousands of lives passed away last year. During his lifetime, he has gifted his great works and ideas to us so that we could make our life beautiful. I believe that this book is the best among his other works because it gives you the knowledge of deliberate creation and information on how to get rid of the negativity that blocks your success. 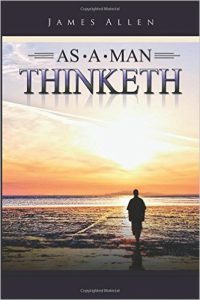 10 – As a Man Thinketh, another classic old book that you must read is this one which is written by James Allen. What’s so special about this material is that it touches the heart of what creates our reality. Our life is a direct reflection of the ideas about ourselves that we hold deep in our subconscious mind and that is what makes the law of attraction to work accordingly. This book is not a law of attraction based one, but the information is absolutely in accordance to the principles of deliberate creation. James Allen shows in the book how your image of yourself makes you who you are, that’s probably the most important lesson one must learn before anything else. 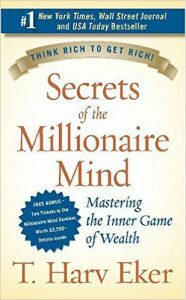 Again, this is another book which has a lot to teach you about manifesting wealth. 12 – Joe Vitale’s “The Attractor Factor”, I think it is his most popular book and it is focused towards wealth creation. Joe has generously explained various things that affect our relationship with money. The information is simple and interesting which has been praised by thousands of people worldwide. These tips can change your financial status if you will apply them properly, so I would highly recommend the attractor factor to anyone who is struggling to make money. I hope you enjoyed this post. You may also like to read about some interesting law of attraction wealth manifestion methods that I use.